Henrik Ibsen's drama is the most prominent and lasting contribution of the cultural surge seen in Scandinavian literature in the later nineteenth century. When he made his debut in Norway in 1850, the nation's literary presence was negligible, yet by 1890 Ibsen had become one of Europe's most famous authors. Contrary to the standard narrative of his move from restrictive provincial origins to liberating European exile, Narve Fulsås and Tore Rem show how Ibsen's trajectory was preconditioned on his continued embeddedness in Scandinavian society and culture, and that he experienced great success in his home markets. 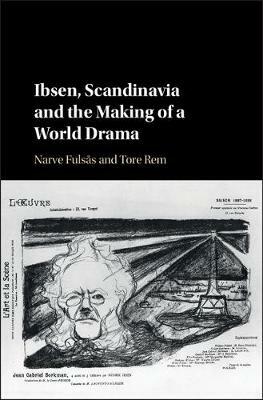 This volume traces how Ibsen's works first travelled outside Scandinavia and studies the mechanisms of his appropriation in Germany, Britain and France. Engaging with theories of book dissemination and world literature, and re-assessing the emergence of 'peripheral' literary nations, this book provides new perspectives on the work of this major figure of European literature and theatre.